Did you know that one of the star objects offered for sale at the uber-prestigious New York Winter Antiques Show (January 22-January 31) has a Cleveland connection? William Gwinn Mather president of the Cleveland-Cliffs Iron Company, and the first president of the Cleveland Stock Exchange also served as president of the Cleveland Museum of Art from 1933-1949. In 1929,he married Elizabeth Ring Ireland. In 1912 Mather wrote Platt that an area near the entrance to the estate “looked a little weak and as if it needed some object. I believe one time you suggested a large urn or vase, and I do not want you to forget about this.” On May 15, 1914, Mather again wrote Platt, “I presume you think you are very busy, and consequently it may have escaped your mighty mind that you were going to have Mr. Manship prepare under your direction a design for a garden vase.” In the meantime, Manship was at work on a full-size plaster model which Mather ultimately approved. 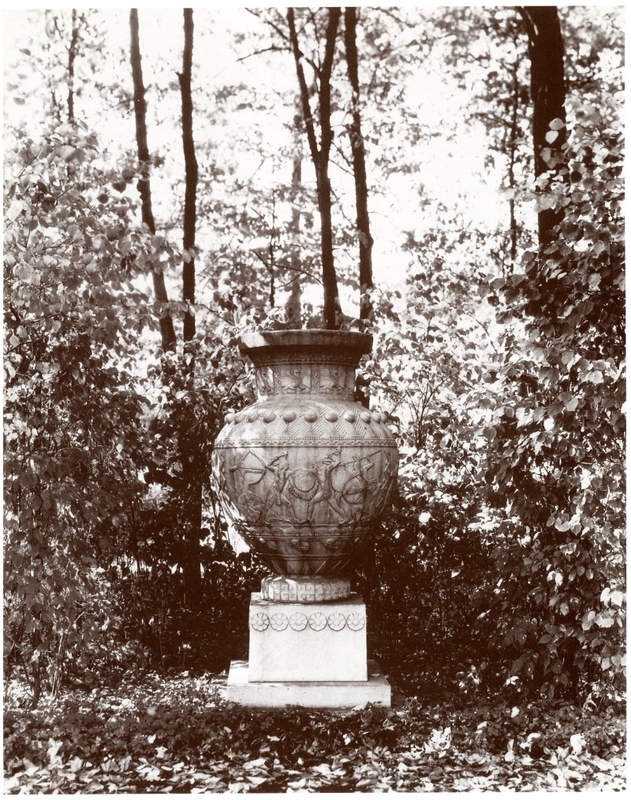 Once the vase was installed at Gwinn, Mather asked Platt to design a turntable for the urn so he could occasionally rotate the piece. Mather felt somewhat cheated since he could see only half of what he had paid Manship to create! The urn depicts Native Americans on horseback, including battle and deer hunting Scenes, and is being offered for sale by the Gerald Peters Gallery of Santa Fe and New York for $6 million. It remained at Gwinn until 2007 when the estate was sold by Elizabeth Ring Ireland Mather’s heirs. The magnificent estate on Lake Shore Boulevard occupies an exalted place in the history of American architecture and garden design. Designed by Charles Platt and landscaped first by Warren Manning and then redesigned by Ellen Shipman Biddle, Gwinn exemplifies the concept of gesamtkunstwerk, the total work of art, and the collaborative efforts of the Mathers, their architect, and landscape designers.